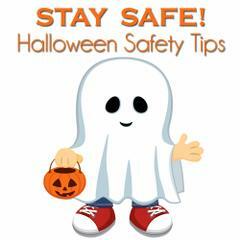 Halloween safety tips from the BTPD. As Halloween quickly approaches, Chief Brian Pesce and the Bordentown Township Police Department want to remind families of several important safety tips as they prepare to take their children trick-or-treating this year. Additionally, any suspicious person or vehicle should immediately be reported to the Bordentown Township Police Department by calling 609-298-4300 OR 9-1-1 in an emergency.